We help you to have the best car hire experience. Follow these 7 secret tips to enjoy your vehicle on holiday. Don’t miss out! Holidays can be stressful enough but if we plan them properly, and make the most of our time while there we are much more likely to come home refreshed and planning the next! Choosing the right car hire company and having peace of mind while you are on the roads is an important factor in making your holiday memorable for the right reasons, so here we’ve put together 7 secrets to enjoy your vehicle while on holiday that will give you the very best car hire experience. Before you go make sure that where you are heading will give you the type of experience you want with your vehicle. If you are planning just to use it to get to your destination and then a few trips to the beach then you may opt for a more basic type of car. However, if you plan on exploring the places where you are heading it is well worth thinking about the type of vehicle you want, and any extras of course, that will give you comfort and everything you need to spend time travelling and get the best car hire experience. You can always ask by contacting Customer Service at www.goldcar.es where they will be happy to help you with any advice on the type of car you need to enjoy your vehicle on holiday. For not very much extra drivers hiring a car can cover the trip for all eventualities by taking out extra insurance cover. That means if you are going to spend a lot of time on the roads exploring destinations you will have the peace of mind that should anything untoward happen to you or your vehicle, such as an accident, then everything will be sorted out, and at no extra cost. Easy to do at the booking stage, Goldcar offer a range of options to suit anyone hiring a car on holiday, whether that is for long distance and hours on the road, or simple daily runs to the beach or supermarkets. Having the right cover is definitely one of the 7 secrets to get the best car hire experience. Is the vehicle big enough? One thing to be sure of to have the best car hire experience on holiday is that you can fit everything in the car! You may have 5 seats and 5 people but can you get all the luggage or beach gear in? If you are planning on travelling around will you have enough room for any luggage or equipment you may take with you? Or you could be planning on buying something large while on holiday. Choose a vehicle that suits your needs and if you have any doubts just contact the Customer Service people at Goldcar for some help to get the the best holiday car hire experience. Another of the 7 secrets to an amazing car hire experience is to book your hire car early. That way you can be assured that the type of car you want and need will be the one you get. Think especially about busy times such as school holidays when people carriers and minibuses are in limited numbers. Also the less common vehicles such as automatics and 4×4 cars may well not be available if you leave it late. 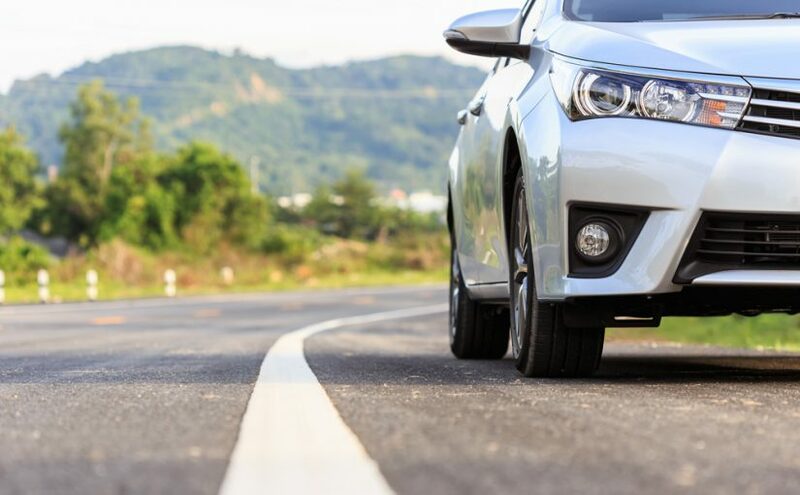 If you plan on doing a fair amount of driving with your hire car then this next tip for the 7 secrets for the best car hire experience is a must! Share the driving if you are going to be doing a lot of travelling and allow yourself not only a rest, but also you will be able to see so much more of the places you are travelling through. As with anything in life, a shared experience makes for the best of memories! Nowadays there are so many aids to make our trip with a car aboard the best car hire experience that, if we want to make life simple, we can add to the hire and take away a lot of the stress of the holiday. Goldcar’s innovative Click ‘n Go and Key ‘n Go allow customers to bypass the desk and collect their vehicle with no waiting. Also booking a GPS for your trip may well mean less stress and lost time exploring places you didn’t really want to go! You are going on holiday, treat yourself and your family to something different to drive around in and make the trip that bit more special. Everyone likes to travel in a nice car and if you are going to spend some time on the roads why not make it the best car hire experience by looking for something a little bit different to the norm. A 4×4 maybe or something that will see the kids comfortable with their devices such as tablets and game machines. Goldcar has a wide range of vehicles to suit all needs and desires so check them out before you go and make it a holiday to remember! Travelling in any country can be a daunting experience but by following our 7 secrets to the best car hire experience you will be able to plan and carry out your holiday in the way you wanted it to be. By following these tips you and your passengers will be more comfortable for the duration whether that’s just popping out or heading on a road trip. We help you to have the best car hire experience. Follow these 7 secrets to enjoy your vehicle at holidays. Dont´t miss them!